For couples worldwide a wedding is the most cherishing moment in their lives. Every wedding celebration requires serious planning and organization to make everything perfect for you and the people that will attend on the D-day. Wedding planning and wedding arrangements can free you from all hazels as you can predict everything and include everyone from designers to expert consultants that may help you during your moments of happiness. Everything has to be perfect, so start with your wedding cards that need to be sent at least eight weeks before the final date. Wedding invitations may have different formats that can match perfectly the theme of the ceremony. From traditional to contemporary wedding cards can be designed to suite the mood of the whole celebration. There are options to purchase some blank cards and then design and decorate them by yourself. You can sometimes add a location map or direction so the guests can find the restaurant right away without any difficulties. Wedding jewellery is also a huge part of the wedding as a reminder of the big day. Planning your jewellery and your budget includes purchasing the wedding rings that needs to be exchanged on the ceremony. In the past, though gold rings were the most preferred choice as a symbol of love according this particular occasion. Today the wedding rings can be designed with a mixture of materials and colourful gems just to complement the taste of the brides and grooms. Be it gold, silver or platinum you need to choose proper wedding jewellery for the most special event of your life. Next on your list should be the wedding cake – tradition that will satisfy anyone in your wedding. Don`t restrict yourself with the traditional vanilla flavours and white colours instead go differently! Select unique form or something special with ribbons and flowers so everyone will desire for a cake like that. Remember this is your wedding and you are allowed to shape and decorate the cake with the most intricate details so all the guests will be enjoying while watching it. Wedding videos are important so be sure to get good, high quality samples so you can enjoy and hold your memories in a way you want. 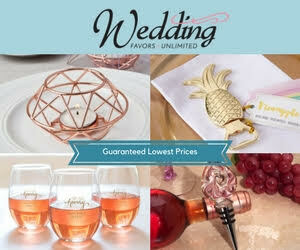 Many people have specific plans about ring exchanging, the wedding vows and what wedding memories to capture. Right from the beginning you have to work hard to find someone experienced who has an experience to accomplish everything that is specified in the agreement. At the end you must have a wedding video from your most important day in your life. The first thing here is to find a professional wedding videographer that offers packages in every price range. Schedule an appointment with the studio you want to hire and be clear about what you want.